From 31 March 2016, the BBFC will delegate to the Cinema Advertising Association (CAA) the regulation of all cinema advertisements in the UK. Following a Government consultation, the BBFC and the CAA agreed to end the dual regulation of advertisements shown in UK cinemas. Henceforth, the CAA will assess and classify all cinema advertisements. The BBFC retains its classification role in relation to trailers, public information films, campaigning films and all other theatrical works. DCMS carried out a public consultation in May 2012 on the future regulation of cinema advertising. At the time, the BBFC and the CAA both classified cinema advertisements. The BBFC and the CAA argued in favour of removing this dual regulation and duplication of responsibility. As a result, the BBFC has stepped back from the day-to-day classification of cinema advertisements and sub-contracted responsibility for classifying such advertisements to the CAA. In the event of there being any doubt as to whether a particular film should be considered an advertisement, the BBFC shall determine whether such film requires to be classified in accordance with its Classification Guidelines and will inform the CAA accordingly. The title of Director is changing to CEO to better reflect the remit of the role and to be more consistent with other UK media regulators and organisations with a child protection role. The BBFC is a transparent and agile media regulator, working to reflect evolving public opinion, protect children from unsuitable content and develop, in partnership with industry, classification services that are up to date with digital technology. Changing the title of my role from Director to CEO reflects the evolution of the BBFC and the Director's role. As CEO I will continue to develop the BBFC's work in line with digital technology and in areas beyond film classification where our expertise in child protection and content regulation can be helpful. David Austin joined the BBFC in 2003 as an Examiner following a career in the Diplomatic Service, serving in South Asia, Central Africa and the former Yugoslavia. In 2011 David moved to the role of Assistant Director Policy and Public Affairs where he coordinated the BBFC's policy work and led on its public affairs efforts. He was also responsible for managing the BBFC's research, communications and education programmes. Apparently the BBFC's new Director, David Austin, is not only notable for being the first director appointed internally, but also the first to take up the post during an industrial dispute. 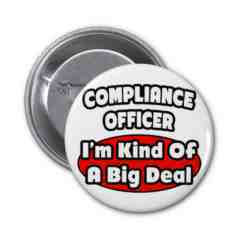 Unconfirmed third hand reports speak of BBFC managers getting rid of the examiners and replacing them with compliance officers, the kind they have at the Beeb and Sky etc. They get paid a lot less than the examiners, but then again they are also young, and inexperienced. Existing examiners, with the collective knowledge and experience accumulated over years, are being made redundant unless they take a huge pay cut and take the compliancy jobs as well. I don't know about everyone else but I actually value some of the work they do there, especially looking out for the protection of children, and shafting these people seems pretty damn short sighted to me. The BBFC's downgrading of staff should be welcome by any person concerned about censorship issues. For years the BBFC have claimed to possess nigh on mythical 'expertise' in matters of taste and decency in films. It should be interesting to see them publicly trying to continue these claims when they internally insist that such expertise does not exist among their staff and therefore need not be paid for in wages. 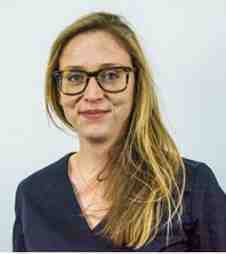 The BBFC announces new Policy Director Alexandra Evans. 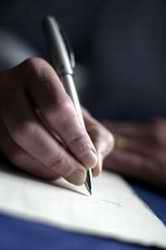 The Policy Director is the principal adviser on policy and public affairs to the Chief Executive. Alexandra Evans today takes over from David Austin (OBE), who in turn is appointed to replace BBFC Director David Cooke, when he retires from his role as Director on 10 March. The Policy Director is responsible for coordinating the BBFC's policy work and managing and leading on its public affairs effort. The role is also responsible for managing the BBFC's research, communications and education programmes. The BBFC is an expert in the field of content regulation and upholds this expertise through regular consultation with the public, child protection experts and industry. I look forward to continuing David Austin's work to ensure the BBFC provides the best possible level of child protection and information provision for those making decisions about the content children are watching. I will also be working with the BBFC's Communication and Education teams to ensure the BBFC's services and education resources continue to be available to the public, academics and school children in the most accessible ways possible. Prior to joining the BBFC, Alexandra established and ran an independent publishing house on behalf of the Chairman Emeritus of the law firm Mishcon de Reya. Alexandra is a qualified solicitor and worked for many years as a policy lawyer at Mishcon de Reya where she specialised in developing and implementing multifaceted advocacy strategies on behalf of a wide range of clients. She has advised on numerous public interest and human rights law issues, in particular the right to freedom of expression. I have hugely appreciated the interest and support of the viewing public during my time at the BBFC. I believe we have made real advances in online child protection, and in the provision of rich and useful information about content. All my colleagues at the BBFC have been a pleasure to work with. We now provide a better service to the industry, without compromising our standards, and we have a more respectful relationship with content creators themselves. I shall miss this endlessly fascinating work, but I know that the BBFC will be in very good hands with David Austin as its new CEO. 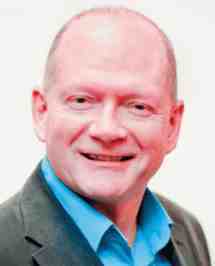 David's strong intellect, vision and leadership skills have ensured that, during his 12 year tenure, the BBFC has developed new services to reflect the changing technological landscape, consolidated its position as the provider of trusted age ratings and enhanced its reputation with the public, industry and other stakeholders. He achieved this with a skilful management style combining both direct involvement and careful delegation, applied with his quietly wry humour. His clear and articulate exposition of the basis for classification and the reasons for individual decisions have ensured that the role of the BBFC has become more widely understood and highly regarded. He leaves the BBFC in excellent shape. On behalf of all the staff at the BBFC I want to thank him and wish him well for the future. David has provided excellent foresight and leadership in the development of the bbfc into a strong, efficient and well trusted organisation. We will miss his intellect, understanding and good company. 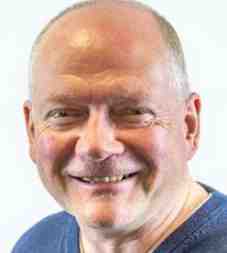 David Austin will take up the post of BBFC Director on 12 March 2016, when David Cooke retires. David Austin is currently Assistant Director at the BBFC, coordinating the BBFC's policy work and leading on its public affairs outreach. 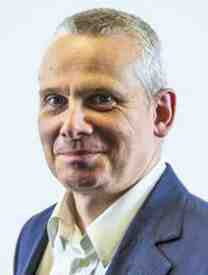 He is also responsible for managing the BBFC's research, communications and education programmes. As part of Safer Internet Day 2016, the BBFC launched a new child-friendly long BBFCinsight, which is now available on the CBBFC website for children and families. The theme of Safer Internet Day 2016 is Play your part for a better internet and the BBFC is encouraging children and their parents to check child-friendly long BBFCinsight on CBBFC for films they want to watch on Video-on-Demand services. Age ratings are not required by law for films available on Video-on-Demand services, but many platforms choose to use the BBFC's well known and trusted age ratings. Research carried out in 2015 also shows online classification checking is now approaching the level of checking undertaken by parents for cinema films with 81% checking age ratings for Video-on-Demand content. Through our education work we speak to thousands of children and young people each year and it is clear that many of them watch films and videos online regularly. We want to help them make the most informed decision they can about their viewing which is why we are offering younger viewers more information about the films they want to watch, and tailoring BBFCinsight, which is written for adults, for younger learners who use our children's website, CBBFC. We also want children to tell us what they want and need to know and a new competition will allow children to tell us what sort of information they find most useful in BBFCinsight. The competition will challenge young film fans to write their own long BBFCinsight for favourite films viewed at home, in the cinema or online, letting us know how we can keep our insight smart, short, relevant and up to date for younger viewers. CBBFC lets children and their parents, choose a Video-on-Demand film that's right for them and any friends or family they might want to watch it with. The CBBFC website can be accessed from a desk top or laptop computer and is also available on mobile and tablet devices. There is a single use of mild bad language and some very mild bad language. There is also some mild comic violence when the chipmunks become involved in a bar fight. One of them throws cocktail sticks, which briefly stick to a man's face; the man is not injured and the sticks quickly fall off. In the same scene, people grapple with each other and there is some shoving. Ofcom was alerted by a viewer to a music video broadcast on Sangat TV featuring a song called Jinde Sukha Anthem: Tigerstyle . The complainant considered that the video glorified the actions of two Sikh nationalists Harjinder Singh Jinda and Sukhdev Singh Sukha ( Jinda and Sukha respectively). These two men, who were members of the Khalistan Commando Force, were hanged in 1992 for the assassination of General Arun Shridhar Vadiya, the Chief of the Indian Army responsible for Operation Bluestar in 1984. They were also found responsible for the murder of two Indian politicians. Ofcom noted that the music video in this case was approximately four and a half minutes in duration and incorporated the theme song for the newly released Punjabi film The Mastermind Jinda Sukha. The music video consisted of clips of two artists performing a song interspersed with clips of scenes from the film The Mastermind Jinda Sukha , which showed the actors who played Jinda and Sukha in the film as well as other Sikh symbols and imagery. For example, there were clips showing the actors in the film depicting Jinda and Sukha: triumphantly raising their hands while in handcuffs; participating in a renowned bank robbery; and embracing one another. The music video also featured images of armed Sikh warriors and roaring lions (these animals having a particular significance in Sikhism and representing courage, majesty and strength). When cruelty and oppression reaches its peak. And when, o people, even the courts look the other way. martyrs are born shed their tears. And then some brave sons rise up for the struggle. Upon meeting each other, these two sons took the destiny of the nation in their hands. Bhindranwale's brave lions roared once again. O people, there are few as brave as courageous Jinda. They were like brave lions, O people! And then the Khalsa [i.e. the assassins] obliterated the car. and celebrated and gave each other sweets upon hearing they had been sentenced to death. The mission of these martyrs had been fulfilled. It is not in every person's destiny to be as courageous as Jinda and Sukha. Sangat TV said that it had not only checked the music video briefly prior to broadcast. It added that it was confused as to how a movie cleared by BBFC for public screening could fall foul of Ofcom guidelines and would appreciate Ofcom educating us on this matter, to ensure that no incidents such as this recurs in the future . Ofcom noted that the lyrics and music video contained numerous positive references that could be reasonably interpreted as glorifying the actions of the two men who assassinated a senior member of the Indian army and two elected Indian politicians. Ofcom noted that the song lyrics variously commemorated the two men as being brave sons and like brave lions and stated that there were few as brave as courageous Jinda . In Ofcom's opinion, broadcast content containing such positive references to two convicted killers and one of the three acts of murder they had committed, which was still within living memory and is still an active source of dissension and controversy, had the potential to cause serious offence. In response [to the Sangat TV query about the film being passed by the BBFC], Ofcom would like to clarify that it is not the case that just because a music video or other broadcast material includes extracts from a cinema film or associated content which has received a certificate for the purposes of cinema exhibition from the BBFC, that it is necessarily compliant with the Code if transmitted on an Ofcom licensed service. This is principally because the BBFC does not apply the Code when deciding whether, and if so how, to classify a film for showing in cinemas or other distribution. In this case, the BBFC did not classify this music video. Further, because the BBFC has classified a feature film this does not mean that a licensee can broadcast extracts from that film in a different context and consider that this material would necessarily comply with the Code. We were therefore greatly concerned that because the Licensee considered that BBFC approval for the film itself (but not the music video) was sufficient for its compliance purposes, Sangat TV only checked the music video briefly prior to broadcast. Regis 1 had responsibility for satisfying itself prior to broadcast that the content in this video (including the lyrics and not just the extracts taken from the film) was compliant with the Code. This regulatory requirement is irrespective of the rules of any other regulatory body, particularly where those rules relate to content delivered in an entirely different medium (i.e. cinema films). The BBFC have officially awarded a U certificate to a ten-hour film of paint drying, created as part of a protest of its practices by British filmmaker Charlie Lyne. 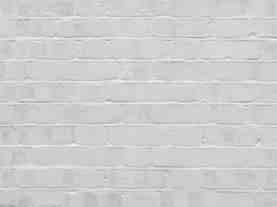 Lyne first established a Kickstarter to fund the submission of a film entitled Paint Drying to the BBFC; one which would consist of a single, unedited shot of white paint drying on a brick wall. The money raised would pay for the BBFC's imposed fees on having work certified, which Lyne believes unfairly burdens independent filmmakers. The campaign ended up raising £5,936 and allowed Lyne to submit a 607-minute film to the censors. Examiners are required to watch a very wide variety of content every day, so this didn't phase them. Dr Jo Cranwell, a psychologist from the University of Nottingham, is calling for tighter measures put in place to protect children from images depicting smoking an drinking in music videos. She claims that British teenagers are being exposed to a high level of tobacco and alcohol images in online music videos and research from the University of Nottingham suggests girls aged between 13 and 15 are the most exposed. The study, published in the Journal of Epidemiology and Community Health , analysed 32 of the most popular music videos during a 12-week period. reserachers estimated, using the census and their own data, that the average percentage of viewing of those videos was 22% for teenagers and 6% for adults. They worked out the total number of depictions (impressions) of alcohol and tobacco in 10-second slots throughout the music videos seen by viewers. Overall, the videos produced 1,006 million impressions of alcohol and 203 million of tobacco. Trumpets by Jason Derulo, and Blurred Lines by Robin Thicke delivered some of the highest number of tobacco impressions, while Timber by Pitbull, and Drunk In Love by Beyonce, delivered the most alcohol content, the study said. Girls are looking at role models beyond their core family unit and their peers. They're looking at wider society and they're looking at celebrities on film, she said. They're very attractive and they lead very aspirational lifestyles and these young girls are looking to them to learn about how they should look and how they should behave. The BBFC should include portrayals of alcohol and tobacco smoking in their 'drug misuse' and their 'dangerous behaviours presented as safe age classification' criteria and at the moment they're not. The BBFC says classification of content online is not required by law but many platforms use BBFC age ratings voluntarily. Its guidelines state that classification decisions also take into account any promotion or glamorisation of activities such as smoking or drinking. The last review in 2013 public opinion was clear that neither smoking nor alcohol were viewed as areas for concern for film classification . Presumably Cranwell was too wrapped up in self importance to realise that issuing silly ratings, eg an 18 rating for 1001 Dalmatians, would undermine the credibility of ratings and would lead to parents ignoring them entirely.